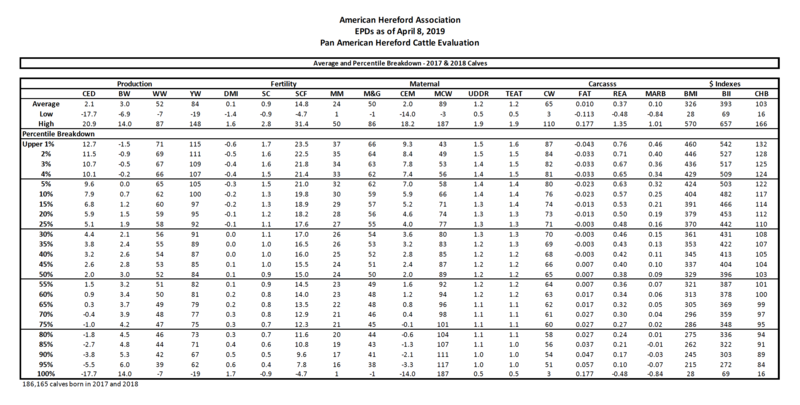 A percentile chart allows breeders to see how their animals rank in the current group of equivalent animals in the Hereford population in North America, Argentina and Uruguay. The charts are divided into five percent increments for each trait. The top five percent are further divided into one-percent increments.